There is always a hurdle to overcome with the vehicle's braking system when you convert to electric. Power brakes are powered by vacuum created in the engine's intake manifold, so without an engine, there is no vacuum to power the brakes. Enter the vacuum pump. It is exactly what it sounds like. Most vacuum pump systems on EV parts websites are over $300. I found a vacuum pump on eBay for $65. However, when I got it in the mail, it turned out to be much smaller than I thought it was. It is actually meant for supplying vacuum to HVAC systems on diesel pickup trucks. I decided to test it out anyway. I powered it with a toggle switch and hooked it up to the brake booster. Whenever I braked I turned it on and left it on for 10 seconds after I braked. It worked okay for a single brake application, but two brake applications completely depleted the vacuum booster of vacuum. Not good enough. It should arrive this week. Soon I will install it and start to test it out. -Throttle potbox - hooks up to the "gas" pedal and tells the motor controller how much throttle is being applied; contains a potentiometer (hence the name) and a microswitch for idle-validation/safety purposes. -Two 400A fuses - circuit protection between the batteries and motor controller. 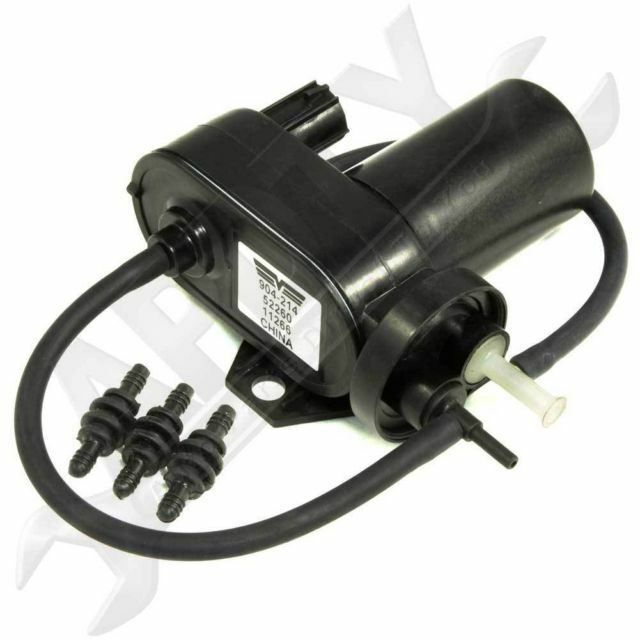 -Vacuum switch - turns the brake vacuum pump on and off to maintain a preset vacuum level. -Pre-charge resistor (1000 ohm) - allows a trickle of current into the motor controller to slowly charge the giant capacitors inside it before the main current contactor is closed; without the resistor, a giant inrush of current would possibly damage the contactor when it is powered on. That pretty much does it for parts that I need. I might need some more battery cables (which I can probably get for free at a truck salvage yard) and a small 115V space heater, but more on that later.